At the 21st of December, 2013, Paris Hilton came to Ufa, Russia to make an autograph session for her Russian fans at the "June" shopping mall. The "June" is a network of big shopping malls which are located in several cities of Russia, including Ufa. This is a kind of PR action for the "June" because this event attracted not only Paris Hilton fans but an attention of all mass medias in Ufa (tv channels, radio stations, magazines and newspapers). 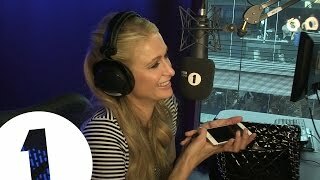 Once we are making the channel about the life in Russia we decided to visit this event as well that to look how our Russian audience will meet Paris Hilton and to ask her some questions. 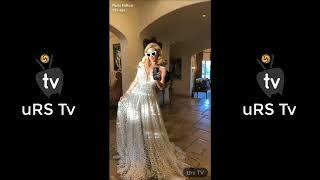 So we filmed an event and Paris Hilton, but never had any chance to ask her any questions because as soon as Sergey Baklykov only yet tried to ask her some questions he was attacked by her severe security guards who explained him very obviously that he don't have ask Paris Hilton any questions or he will be banned. They repeated it twice. More than that, another guard even demand Sergey Baklykov to hide his microphone in a pocket. Probably he never knew that the microphone works even in a pocket. So this demand was just meaningless. For this reason, Sergey Baklykov looked like he's just one of the fans who wanted to get her autograph in a moment when he mostly wanted to ask her some questions. Another sad moment is that Paris Hilton never responded any real questions from the journalists who came there. Her translator who looked more like a security guard made it look like he is listening to the questions of the journalists but never asked them. Instead of real questions he asked Paris only the questions that already was pre-written for her. He read them from the paper list he held in his hand. And most of questions were just about DJing, a new interest of Paris Hilton. Besides that, everything went ok. Paris Hilton looked well, gave a lot of autographs and photographed with fans.